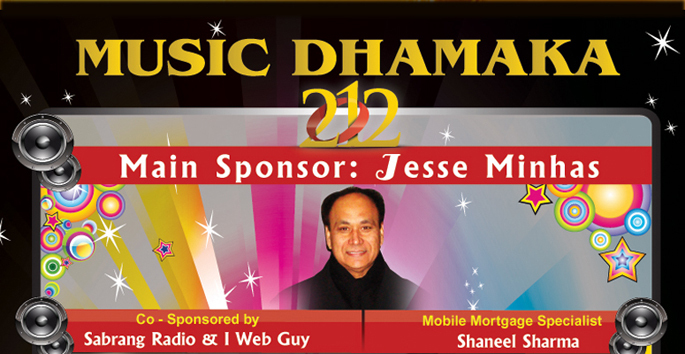 Music Dhamaka Event was sponsered by Jesse Minhas, Co-sponsered by Sabrang Radio & IWebGuy.The show was hosted by Sangeeta & Jay(sabrang host). 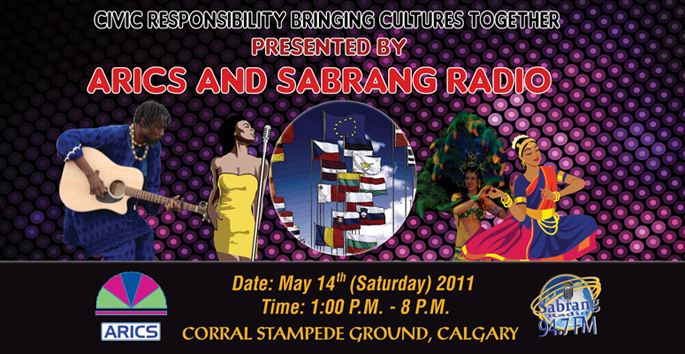 The star singers of the show was Bashir Somani & Karima Daya. The Dinner arrangements in the show was by Paradise catering.This show was to entertain people by Music magic as the show titled as Music Dhamaka 2012. 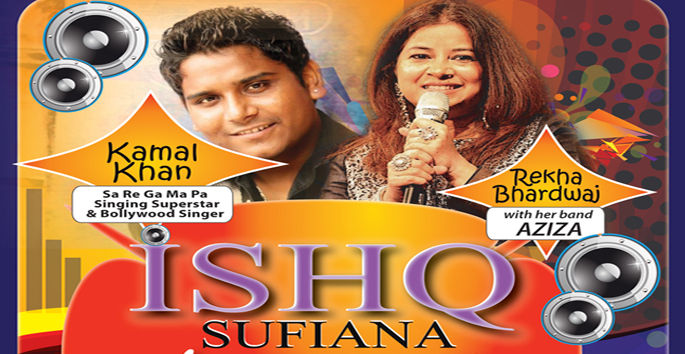 Kamal Khan & Rekha Bhardwaj Live in Concert (ISHQ SUFIANA) This Event was Presented by the Ace Entertainment & Media Group, Sabrang Radio & TV and IWebGuy on 17th February 2013. 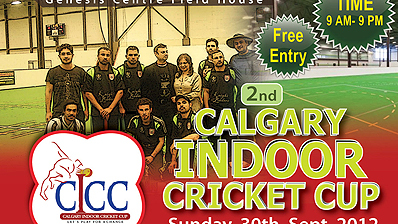 Indoor cricket is a variant of and shares many basic concepts with cricket. 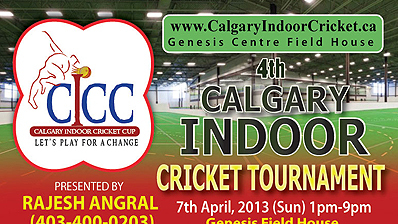 4th CALGARY INDOOR CRICKET TOURNAMENT was Presented by the Ace Entertainment & Media Group with collaboration of Sabrang Radio & TV and IWebGuy on 7th April 2013. Several versions of the game have been in existence since the late 1960s. Indoor cricket is a variant of and shares many basic concepts with cricket. 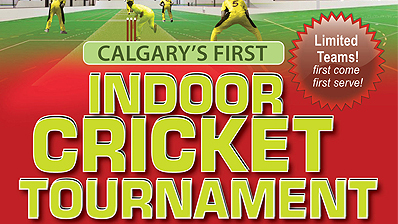 3rd CALGARY INDOOR CRICKET TOURNAMENT was Presented by the Ace Entertainment & Media Group with collaboration of Sabrang Radio & TV and IWebGuy. 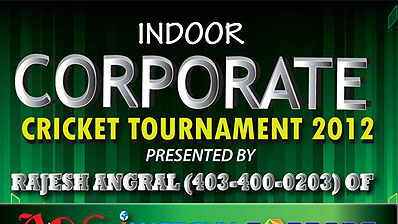 Indoor corporate cricket tournament 2012 All work and no play makes jack a dull boy That's why, Ace Entertainment & Media Group, I Web Guy and Sabrang Radio presented CORPORATE CRICKET CUP for Corporate Companies. Indoor cricket is a variant of and shares many basic concepts with cricket. 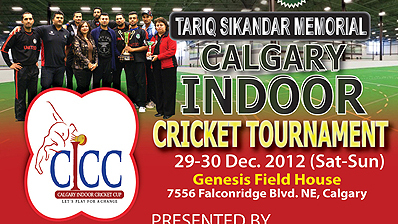 2nd CALGARY INDOOR CRICKET TOURNAMENT was Presented by the Ace Entertainment & Media Group with collaboration of Sabrang Radio & TV and I Web Guy. Indoor cricket is a variant of and shares many basic concepts with cricket. 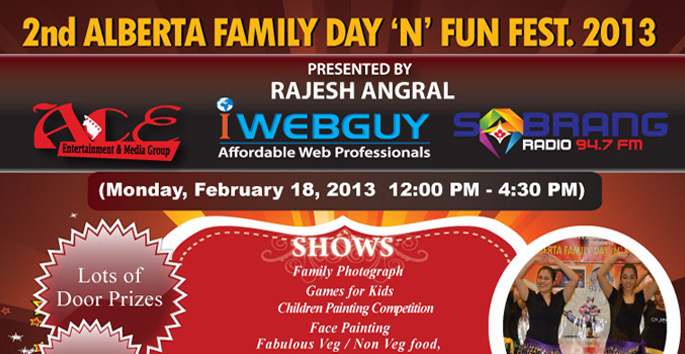 1st CALGARY INDOOR CRICKET TOURNAMENT was Presented by the Ace Entertainment & Media Group with collaboration of Sabrang Radio & TV and I Web Guy.